There’s been lots of activity here lately so I guess I should share some of it! Kirke picked up his new bike. Thanks to pal Theo for taking this photo of Kirke and me. Just before Kirke arrived with his saddle which matches the bar tape. 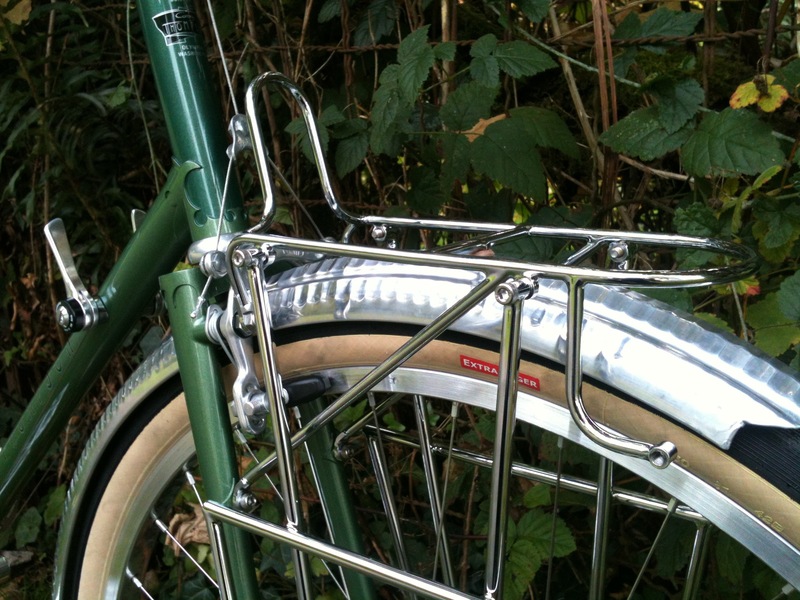 Downtube logo and small front rack-plus-lowrider. Rack detail. These are made to order for each bike and fit only that bike. Kirke opted not to get a dyno hub and headlight right now, but the fork has Schmidt SL dropouts and the rack has a headlight mount, just in case. You can find all the build shots for this one here. 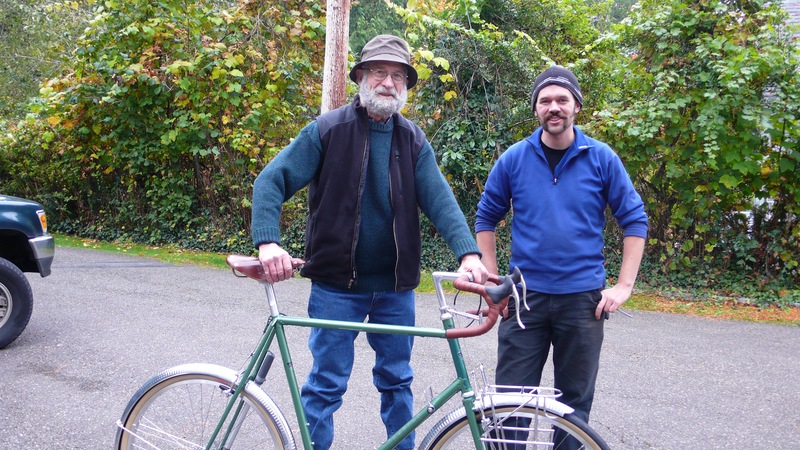 Robert’s single speed road bike left for powdercoat. He’s getting a pretty cool build with Curtis Odom hubs, Herse cranks, Mafac Competition brakes, Nitto bar, stem, and seatpost; and a Berthoud saddle. Expect photos when I get it assembled. Small front rack roughed in. It will get removable lowriders too. 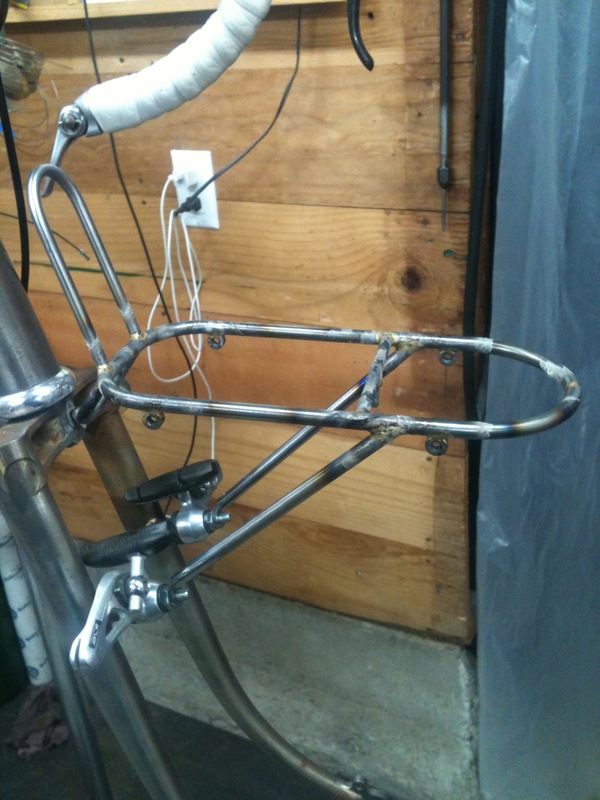 The next project is Mark’s winter single speed road bike, all in stainless. This will be a fun one with a full KVA Stainless tubeset, fork blades, and a stainless lugged stem. I’ve also found the time to play a little bit too and get re-acquainted with my mountain bike. Here are a couple shots from my last ride. 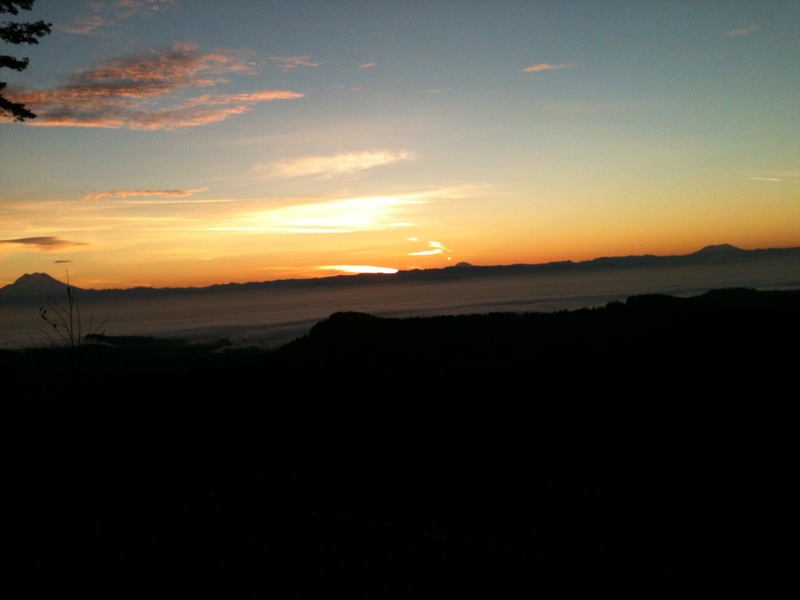 I got on the trail a little before 6:00am and was done before 8:00. 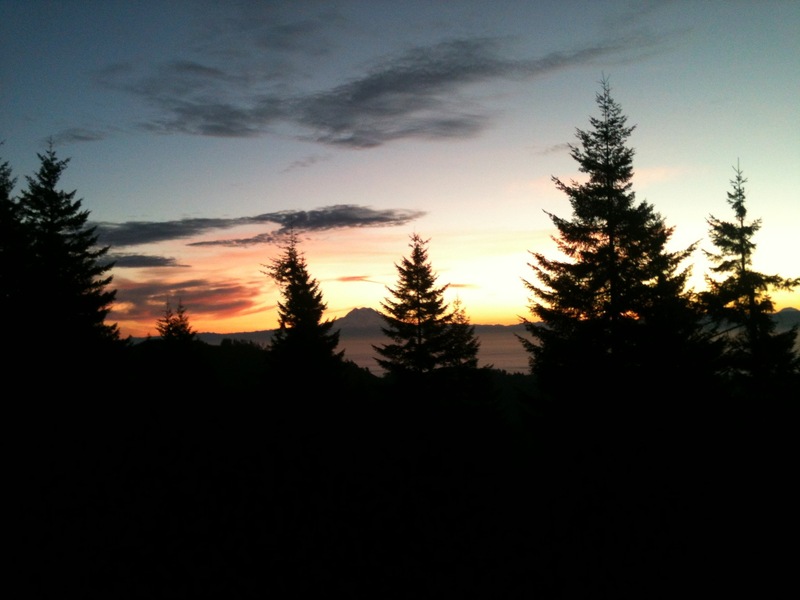 Mount Rainier, Mount Adams, Mount Saint Helens. Well worth getting up early and riding in the moonlight for awhile to have this view all to myself! 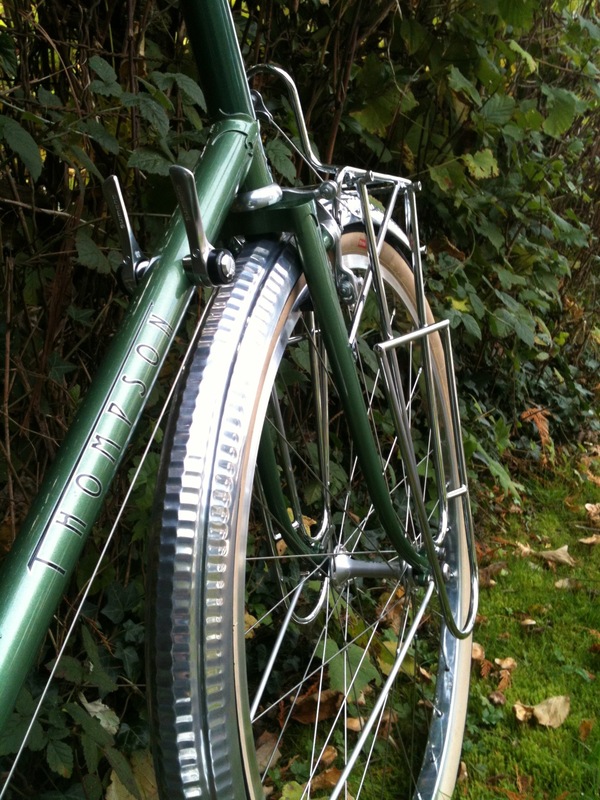 This entry was posted on November 27, 2013 by Thompson Custom Bicycles. It was filed under Uncategorized . 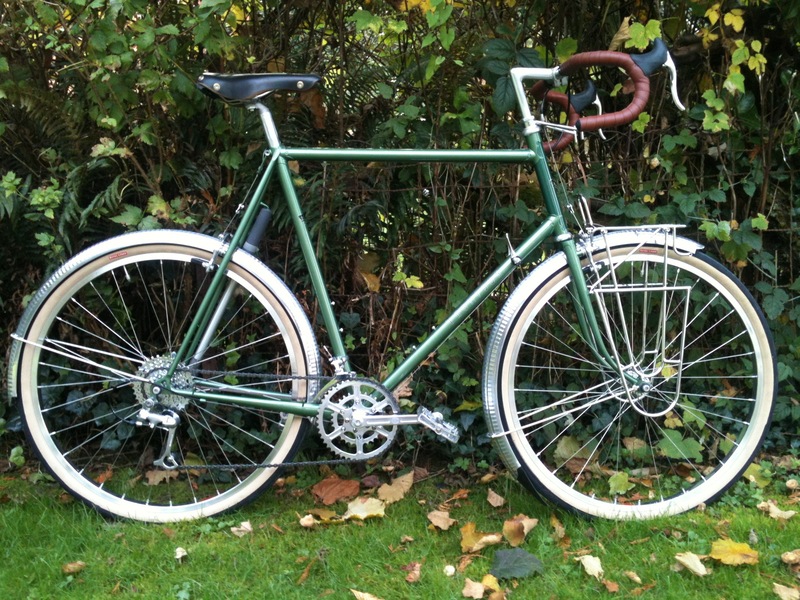 Beautiful bike for Kirke. I love the color too, very classy. Very nice work! Can’t wait.